I have another great gift item or Christmas present! You can head over to Amazon where they have this Fisher-Price iXL 6-in-1 Learning System (Silver) for just $48.99 + FREE shipping (Reg. $79.99!). I have another great gift item or Christmas present! 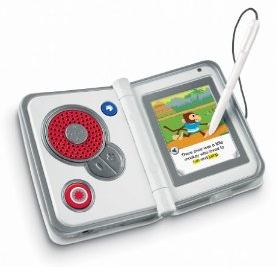 You can head over to Amazon where they have this Fisher-Price iXL 6-in-1 Learning System (Silver) for just $30 + FREE shipping (Reg. $79.99! ).